Well, this might sound unbelievable and doubtful, however, studies have shown that stimulating certain part of the scalp helps to relax the muscles and increase blood flow (Choy, 2012). Researchers have shown that massaging the scalp for 20 minutes every day could stimulate new hair growth (Choy, 2012). 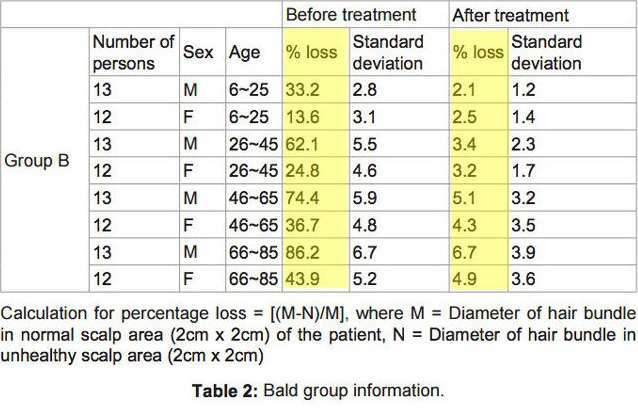 Below is a table showing effect of scalp massages on hair loss before and after massage at the end of 300 days. The results showed that scalp massages are effective in reducing hair loss. However, mastering technique of scalp massaging is essential for effectiveness. It is advisable to rub the scalp in circular motion on the sides (above the ears), then at the front, then at the back for 20 minutes every day. This is another method that has been proven to be a useful way of growing hair on a bald patch. This method involves stimulating hair growth through mechanical stimulations by inflicting the scalp with minor wounds thereby causing more cells to be created. During the tissue repair and cellular reproductions that follow, collagen and elastin are produced which improve elasticity and lead to more growth of hairs. 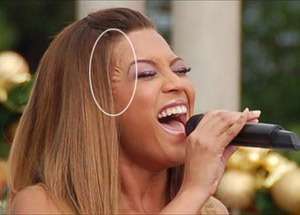 One possible instrument for use during mesotheraphy is the dermaroller, which has sharp pointed ends that can cause wounds on a bald scalp. 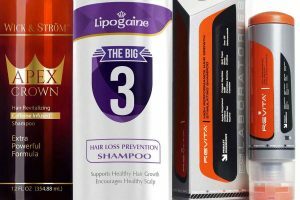 Another study has shown that combining mixodil and dermaroller can cause hair growth. 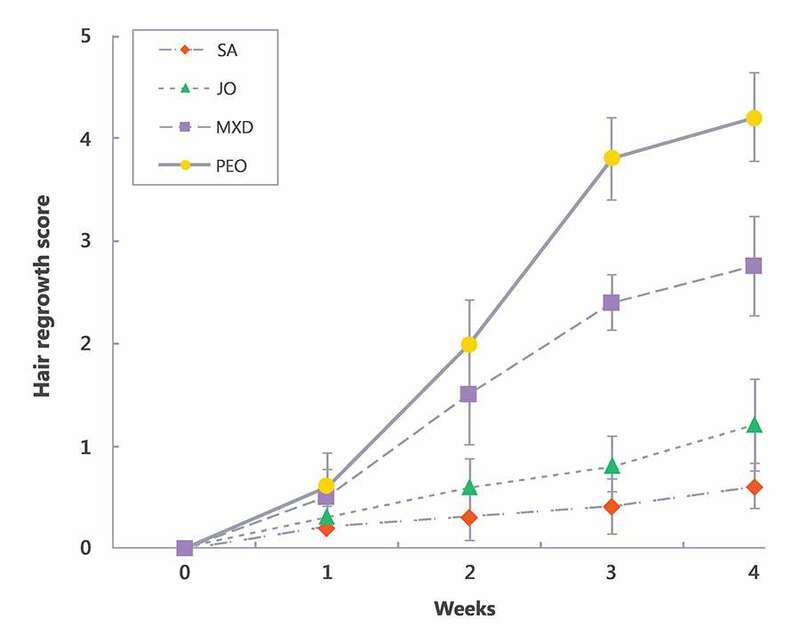 This picture below showed the effect of this treatment within 12 weeks. 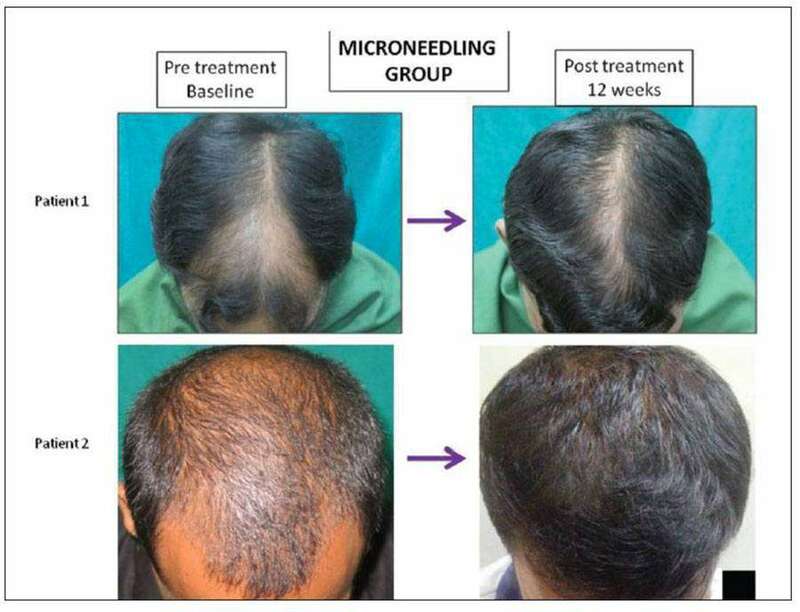 This is another method of growing hair using mesotheraphy principle. However, in this case, a microneedle is used instead of dermaroller. The effect of this treatment can be seen in the picture below (Dhurat et al., 2013). Dermarollers and microneedle stamps can be purchased cheaply online. A 2014 study conducted in South Korea showed that rubbing peppermint oil on the scalp could successfully trigger regrowth of hair (Oh & Kim, 2014). Using Peppermint in some tropical solution on daily basis could be an effective method to regrow hair. 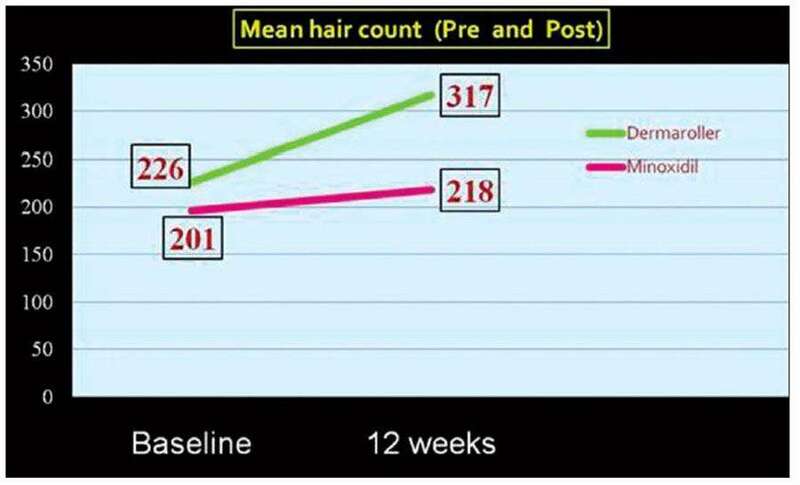 The effectiveness of this treatment on hair growth is shown in the figure below. 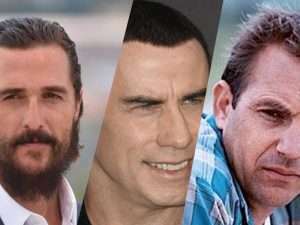 A study has shown there’s a possibility for growing new hairs by plucking in a particular pattern. The study revealed that when hairis plucked from mice, they grew more hair than before (Mann et al., 1993). This is yet to be practiced on humans, but since humans are genetically close to mice, trying this method could offer an inexpensive way of regrowing hair. One central theme common to all the methods discussed in this article is to increase blood circulation in the scalp. Different methods exploit different means of ensuring the nutrients necessary for hair growth are made accessible to the hair follicle. 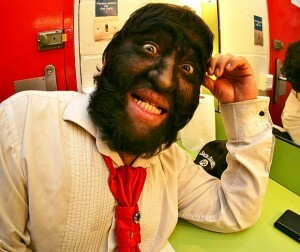 Choy, H. (2012). Detumescence Therapy of Human Scalp for Natural Hair Regrowth. J Clin Exp Dermatol Res, 3(138), 2. Dhurat, R., Sukesh, M. S., Avhad, G., Dandale, A., Pal, A., & Pund, P. (2013). A randomized evaluator blinded study of effect of microneedling in androgenetic alopecia: a pilot study. International journal of trichology, 5(1), 6. Koyama, T., Kobayashi, K., Hama, T., Murakami, K., & Ogawa, R. (2016). Standardized scalp massage results in increased hair thickness by inducing stretching forces to dermal papilla cells in the subcutaneous tissue. Eplasty, 16. Mann, G. B., Fowler, K. J., Gabriel, A., Nice, E. C., Williams, R. L., & Dunn, A. R. (1993). Mice with a null mutation of the TGFα gene have abnormal skin architecture, wavy hair, and curly whiskers and often develop corneal inflammation. Cell, 73(2), 249-261. Oh, J. Y., Park, M. A., & Kim, Y. C. (2014). Peppermint oil promotes hair growth without toxic signs. Toxicological research, 30(4), 297.